Talk show host, Chelsea Handler, made a major boo boo in her efforts to help out Georgia democrat Jon Ossoff, asking her fans to go to the polls to vote for the candidate – a week early. Handler, 42, took to Twitter on Tuesday to enlist her millions of her twitter followers to vote in the ‘Special election today’, but there was one little problem, the vote is scheduled for April 18th. Chelsea Handler is being skewered on social media after making disparaging comments about First Lady, Melania Trump. Handler, 41, says she declined to interview the First Lady because “she can barely speak English.” In reality, Melania speaks perfect english as well as 4 other languages, French, Italian, German and Slovene. 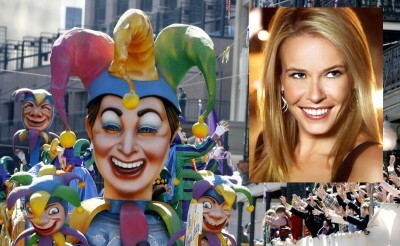 Chelsea Handler Mardi Gras photos. Chelsea Handler’s eight year stint at E! Network is coming to a close. The talk show of “Chelsea Lately” is ending. “Chelsea intends to leave when her contract expires. Leonardo DiCaprio Drops F-BOMB On CNN! 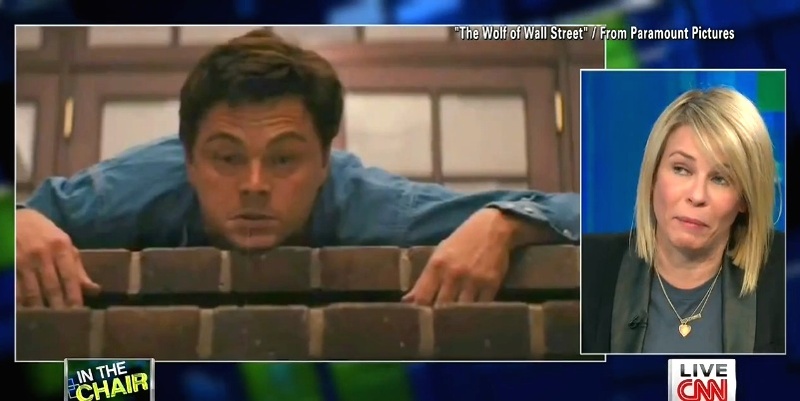 CNN’s marked man, Piers Morgan, while interviewing Chelsea Handler, was showing a Wolves Of Wall Street clip, the one of Leonardo DiCaprio negotiating a row of stairs while on quaaludes, when all of a sudden, DiCaprio says one of the movie’s countless f-bombs! You have to watch the hysterical video! Chelsea Handler showed off her new leg cast (and a little more,) on Twitter after a scary skiing accident.